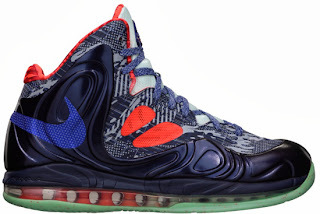 Another new colorway of the Hyperposite was released over the weekend and is now available. 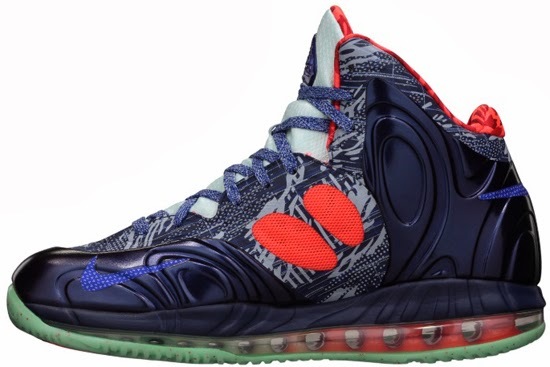 This Nike Air Max Hyperposite comes in a hyper blue, obsidian and total crimson colorway. Featuring a unique print found throughout the upper along with an obsidian colored Foamposite and crimson accents. They are finished off by a white tongue and a glow-in-the-dark outsole for an extra touch of flavor. These are now available and were a limited release available at select Nike accounts worldwide on Saturday, October 5th, 2013. Retail is set at, $225. Enjoy the official images below of the Nike Air Max Hyperposite in hyper blue, obsidian and total crimson. If you're interested in picking these up, check in with your local spots to see if they received them. Those of you looking for a pair now can, grab them from eBay here.